Someone asked me about the difference between ICC and Day Skipper. Well if you have your day skipper, all you need to do is download a form from the www.rya.org.uk website and send it in with a copy of your day skipper quals, and for a small admin fee, they will send you your ICC cert. It does not work the other way round. Day Skipper is 5 days in the classroom and 5 days at sea. ICC is a one day assessment... big difference! However some European countries require you by law to have your ICC and they will take some persuading to accept your Day Skipper qual. Remember too that there are different ICCs for power and sail, and there is a differenct qual entirely for inland waterways.. the CEVNI. Confused ? Of course you are.. thats how the RYA make their money.. 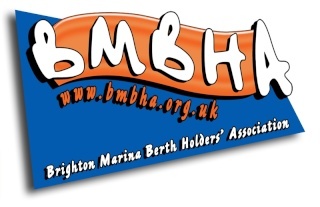 Following on from my previous post about qualifications .. we have some 'out of season' specials on courses for Berth Holders this month 20% off for BMBHA members! Sat 5th - Sun 6th Jan - Normal Price £249 now £199! Powerboat Level 1 and 2 course.. 1 place left! Mon 14th - Fri 18th Jan - Normal Price £349 now £279! Day Skipper Theory at Neilson HQ.. nice warm classroom! Sat 26th Jan - Normal Price £99 now £79! VHF Marine Radio at Neilson HQ.. nice warm classroom! » A new PC for Skipper!